Inner Layer Foam/Rigid Insulation Board that’s secured to the exterior wall surface, often with adhesive (in front of drainage track). Middle Layer, a polymer and cement base coat that’s applied to the top of the insulation, then reinforced with glass fiber mesh. Exterior Layer, a textured finish coat. Preserves the core wall & stays dry with drainage track system. Gives elegant look and can instantly increase curb appeal. Provide long lasting beauty. 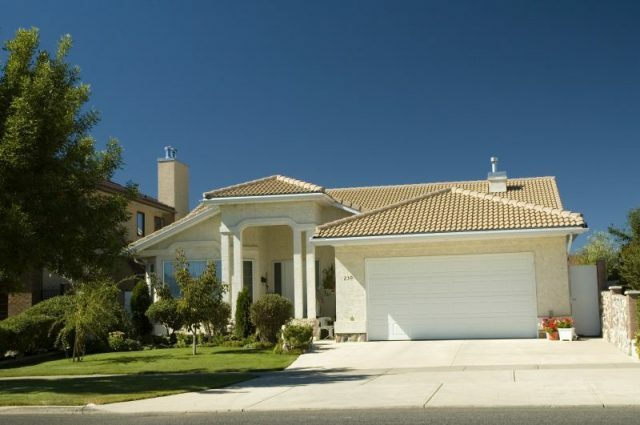 Advantages to natural stucco include fire resistance. Final finish is 100% acrylic, long-lasting and waterproof. Provides Insulation, a high degree of Energy Efficiency & Savings. The more you insulate, the more you save on monthly utilities & cash in on green dollars from the Federal and Ontario governments. Your walls are the biggest source of heat loss in your home (accounting for up to 35%). 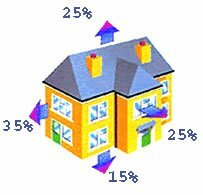 This is primarily due to 2 reasons: air leakage and heat loss (or gain). Insulating the exterior walls with EIFS decreases this heat flow by providing a continuous barrier to the flow of heat, via insulation and an air-flow resistant barrier. Select your average monthly energy costs from the drop-down menu below to calculate how much money you can save over just the first 10 years on heating bills if you were to reduce your heating and cooling bills by just 35%. 1. Mouldings and decorative trims offer a cost-effective refresher in any exterior. 2. As building and design trends lean toward contemporary angular shapes and a restorative approach to older buildings, architectural details like crown mouldings, ceiling domes, medallions and corbels hide structural features while adding a unique finishing touch. 3. Combining old world designs with modern technology, Iconoplast creates plaster and Fiberglas reinforced gypsum cement details such as columns, rosettes, arches and domes in styles ranging from Egyptian, Greco-Roman, Neo-Classical and Art Deco. 4. Glass reinforced gypsum and cement, PVC and EPS foam are just a few materials making these classic systems easy to install, limitless in custom possibilities and adaptable to any style. NON EIFS stucco for interior and exterior surfaces & walls. Exterior caulking sealing & EIFS stucco installation. Install scaffolds, mask windows, doors, place tarps and remove all stucco related debris. We specialize in designing moulding, repairing, restoring Stucco & Exterior Insulation & Finish Systems, as well as plastering and moulding for residential, commercial & industrial. We are insured. We are multi talented & provide a great service for the best price & prompt execution of works.mpt execution of works.